What is your definition of “clean eating”? Do you consider yourself a “clean eater”? By now, the shop the perimeter of your grocery store may seem “cliche”, but really that’s one of the easiest ways to eater better. 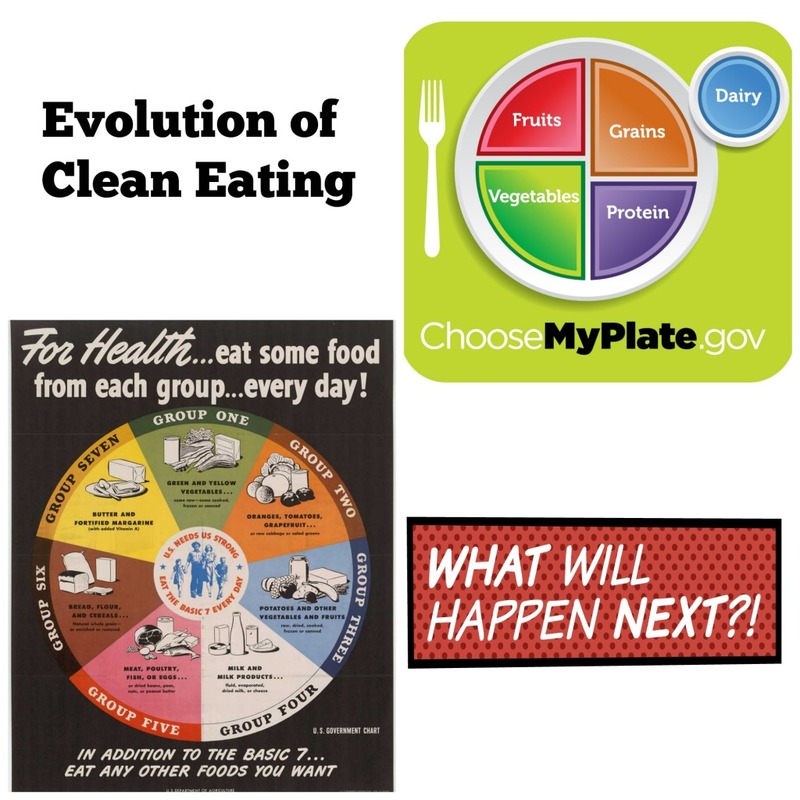 The United States Department of Agriculture (USDA) has been battling the issue of clean eating since 1916. Throughout the years the USDA has introduced nutritional guides based on anywhere from four basic “food groups” to eleven. Do you venture into a grocery store without a shopping list? I mean, do you drive to a new destination without first checking google for directions? Do you try new restaurants without looking up yelp or trip advisor reviews? Maybe you do and if so, I applaud you. You are living life in the fast lane. 😉 My motto has always been you can’t eat junk food if you don’t buy it. Granted, if you work outside the home you are bombarded with candy dishes and the occasional birthday cake. But the point is still valid, if you don’t have access to junk food it won’t be so easy to eat it. Your shopping list is your plan! You need a blender. A blender can be used to make smoothies or for juicing. Lately I’ve been juicing more than making smoothies and I’ll post about how I do it soon, but suffice it to say that its working almost as good as using my old juicer with much less cleanup. It’s so much easier and fun to search through Pinterest for inspiration on healthy food to make. The best part is that it will store your ideas so you won’t waste so much time looking for the same recipe over and over again. Try a new vegetable or new recipe every week. You’ll never know if you are going to love something if you don’t give it a try! Have you tried chia seeds or hemp seeds yet? Chia seeds are great in smoothies to help you feel fuller. Hemp seeds are amazing in salads. They add a nutty taste without the fat from other nuts.